This asset is in the game already, there is no need to download it! This asset is in the game. There is no need to download it to use it. Ok here it is. Thanks a bunch to everybody that was helpful. This is my first custom model for and Source game. I know there are a few areas where I could improve but I wanted to get this done before I started work on Monday. To use simply copy the "tf" folder over to your 'tf" folder. In hammer insert a "prop_dynamic" entity. Select "ambulance.mdl" as your model. 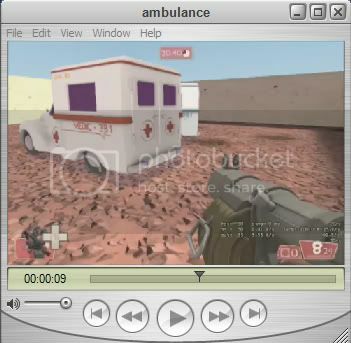 Change the "name" of it to "ambulance_prop"
Draw a brush that will be the trigger to activate the doors and healing. Cover the brush with the 'trigger' texture. CTRL+T to tie it to a func_regenerate. Change the target to "ambulance_prop"